It's Spring and for some reason that elicits all sorts of internal brain sensors that we need to clean. Why don't we do it in the dead of winter when the weather is awful? Anyway, a heart wants what a heart wants...spring cleaning it is. 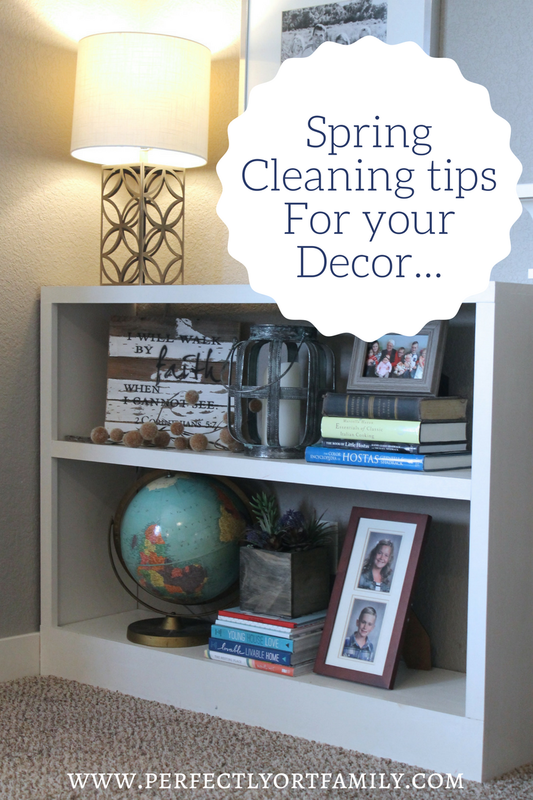 I am linking up with Erika and Shay today so check out their blogs for more spring cleaning inspiration! Spring Cleaning Paper Items -- place all paper items in one spot and sort - save, store, toss or shred. By spring, it's time to dust. I might have dusted my shelves after Christmas before replacing my normal decor and I don't think I have dusted since so it's the perfect time to take everything off the shelves, dust and give the shelves a new look. I place all my decor on the dining table and do a little shuffle. Tired and boring get a new and energized look going into spring and summer! 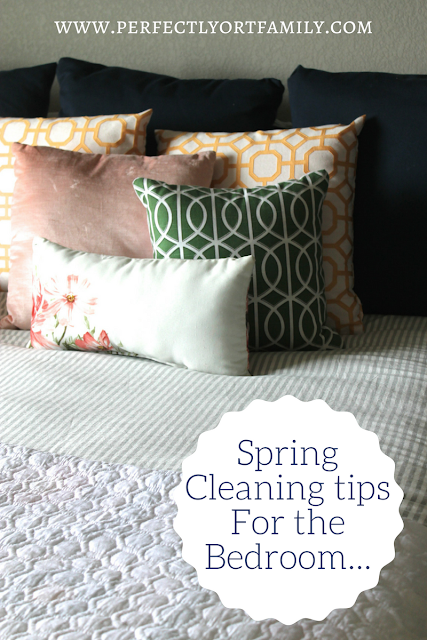 It's a cheap way to freshen up your home. Somehow my kitchen cabinets and drawers just get filled up with random stuff and it's time to pare down. I have the kids help me sort tupperware to make sure they all have a lid. Tupperware is like the socks of the kitchen. How can they lose their mate???? I store all lids in a plastic caddy. My favorite storage containers are these glass ones. 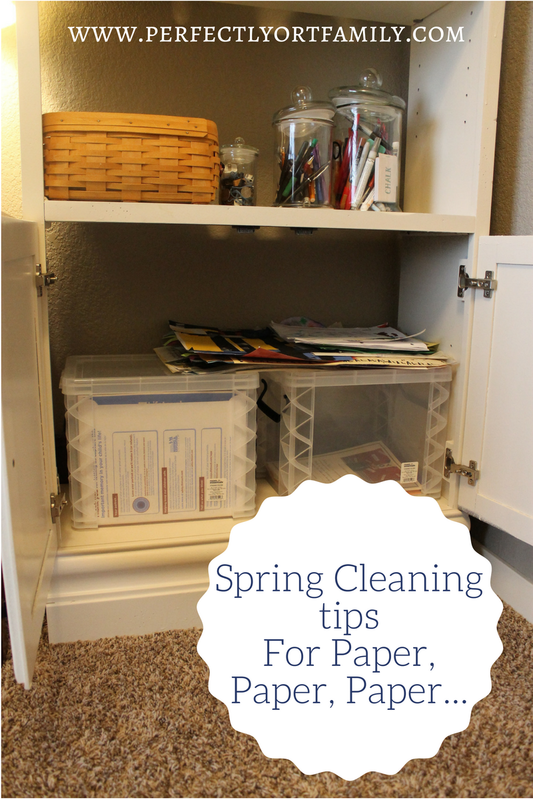 I also sort my drawers and take out random things I don't use, clean out the crumbs and dust and reorganize! We donate what we don't use (looking at you freebie silly straws, water bottles and restaurant cups my kids refuse to throw away). I use the dollar store plastic trays like these. 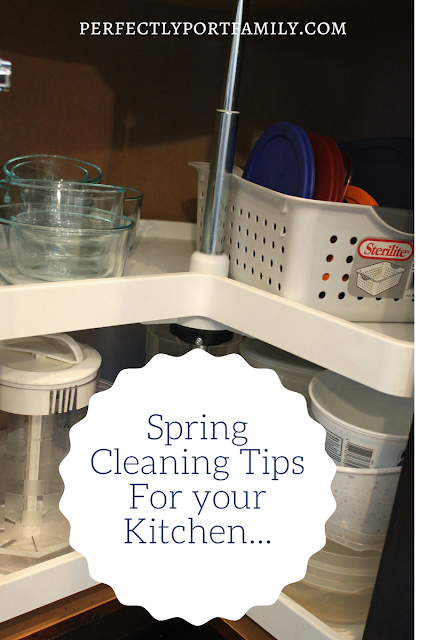 We make room again in our cabinets so we can easily access the things we do use. I added this lazy susan to my top corner cabinet so I can easily access all my travel cups/bottles. It's a game changer. We also got rid of a ton of travel coffee mugs because we love our yetis. I asked for Scott's help one Sunday afternoon and it was more fun because Daddy makes everything funny and wrangling little people and trying on clothes is a 2 person job! 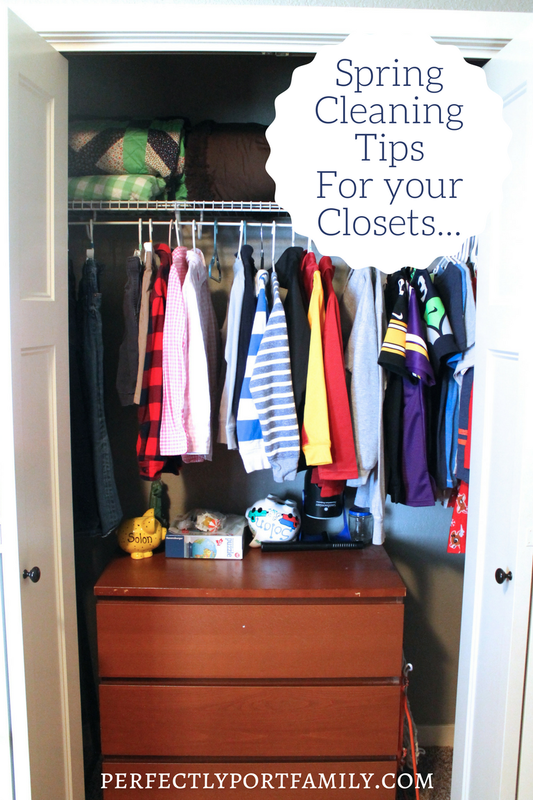 We took all the clothes out of the drawers and closet and wait for the pain of it -- tried it all on! I even make them try on underwear. No one wants really tightie non-whities! Then we sorted -- donate, save for hammy downs, and toss (no one wants stained or items with holes). I also look for great end of season sales on winter gear and stock up for next year. Solon needs a new snow coat and snow pants. We love Lands End for winter gear. It's a little more pricey but wears really well and I normally get 2 years out of it! It's all on sale right now :)...off to stock up! Now, it's finally a sunny day and you can move your spring cleaning outside. YAY! 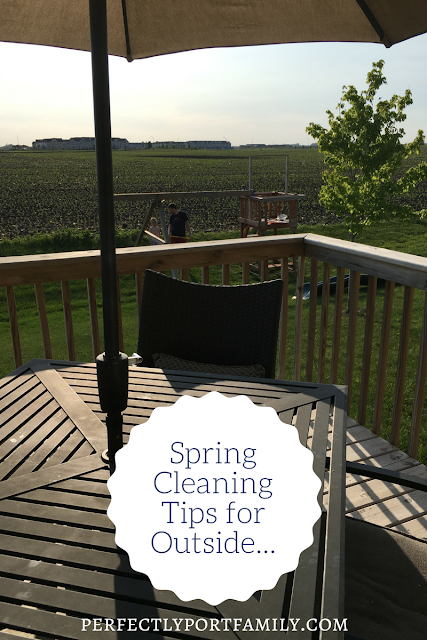 It's time to put the swings back on the swing set, the roof on the playset, sweep out the garage and find a dead mouse (oh wait that was just me - we live on a cornfield but EW!). Windows and tiny hands...clean windows are highly over-rated and I am a picker-upper so dusting is not at the top of my radar. That coupled with white woodwork makes me forget ;). 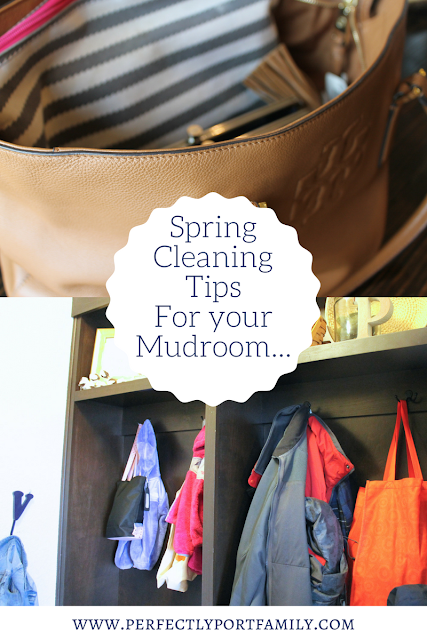 What is your favorite cleaning chore? I would say sorting, organizing and purging are mine. I seriously was "playing" with my daughter the other day and I organized her play kitchen. She thanked me profusely #shedidnot. Your turn - sound off in the comments. 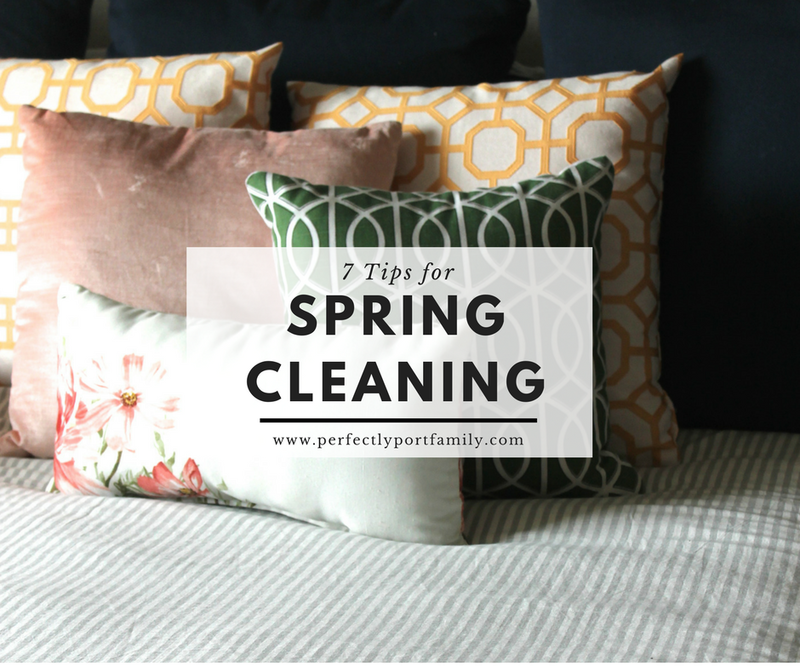 Why do we clean in the spring when it's nice out? What's your favorite chore? Do you think dusting is over-rated too? Do you organize play kitchens?